Hello lovelies, I'm so late on this review as explained in my previous post! 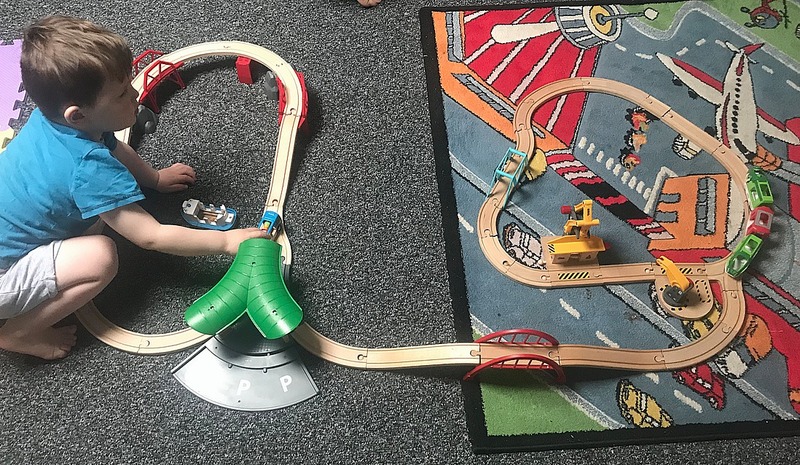 I'm still really up and down at the minute but we were very kindly sent this amazing travel station set from Brio a few weeks back and obviously the kids love it! 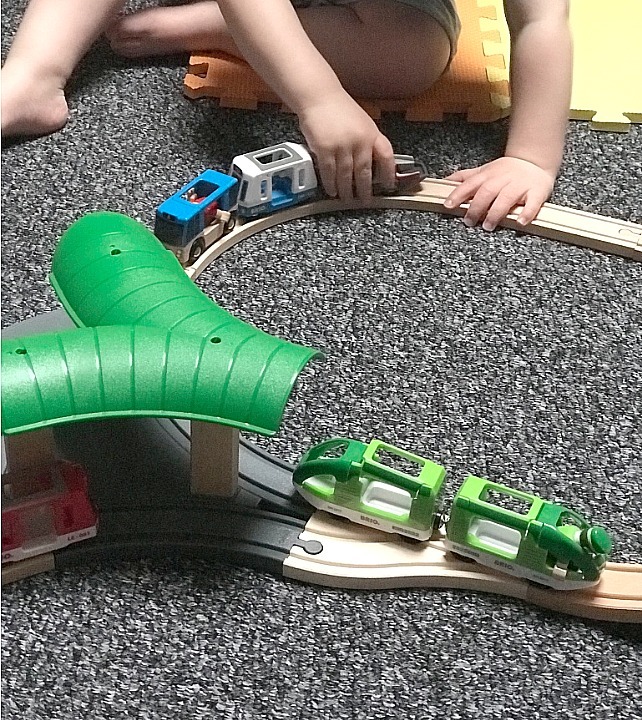 The boys are building up quite a collection of Brio train sets, they are just so easy to build and stay in such good condition with rough little hands. 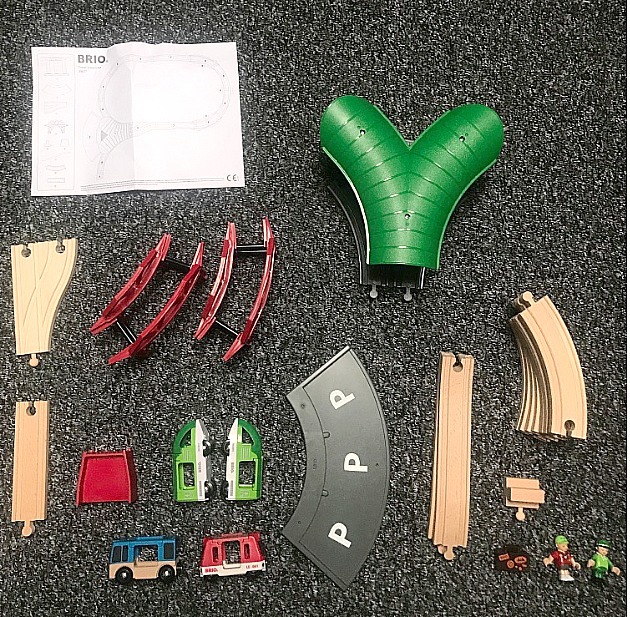 This set comes with 25 pieces it comes with two cute little carriages to take you to the train station once you've parked your car you can get onto the bright green train. 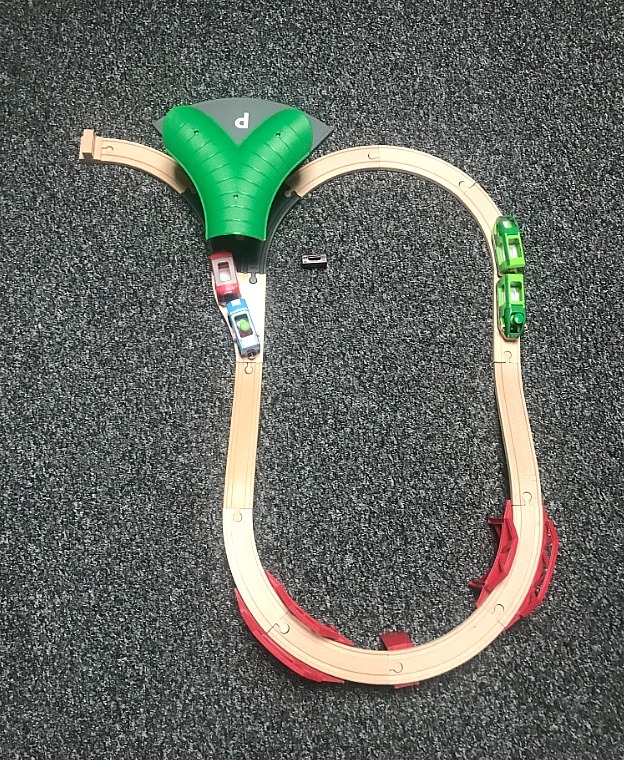 The boys have role played lovely with this little set and can sit up stairs for hours, we also joined this onto other Brio play sets we have to make a huge track. As we have accumulated quite a collection now I am thinking of putting one of the boys train sets in their Nan's dinosaur garden we made (photos to follow on a future blog post soon). Imagine a travel station to jurassic park? Thats the thing with train sets you can do so much with them with little imaginative heads. You can put them anywhere, perfect thing for boys and girls in the half term or the six weeks holiday coming up, hours of fun. I would never usually go and fork out near £80 on a train set but its so sturdy, lasts for years and gives you piece and quite for hours on end, thats a bargain surely!? I also love getting involved with the boys, helping them build epic tracks and watching their faces as they unravel a new adventure. 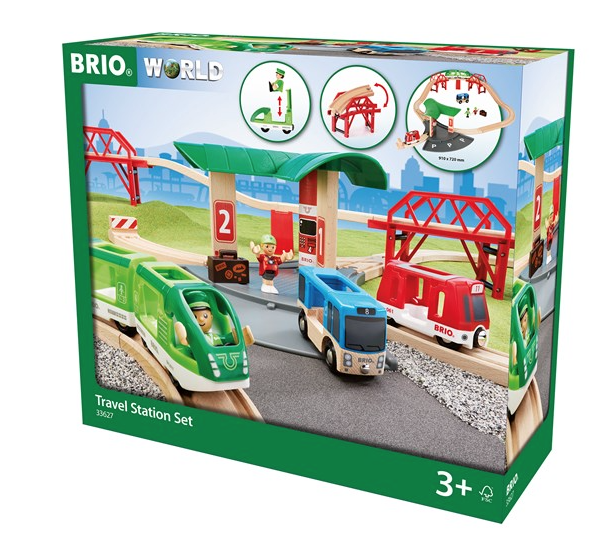 I honestly couldn't recommend Brio enough to all my friends and family, amazing presents to buy for your young ones.